This week’s featured vehicle is presented by Michael Hiscox. 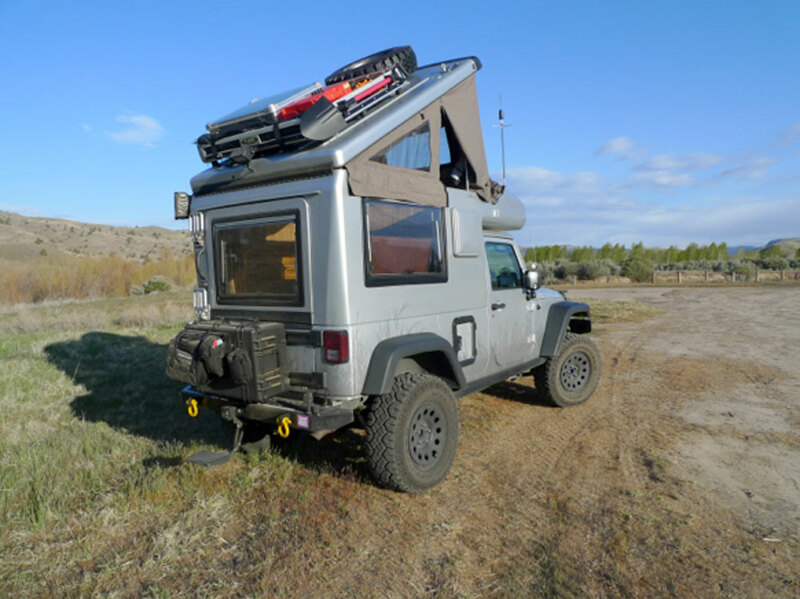 This rare and detailed tour of his Jeep, in his own words and images, is pretty awesome. The first entry in Webster’s dictionary defines an “adventure” as “an exciting or noteworthy event that one experiences firsthand.” Other definitions add the concepts of risk, noteworthiness and so on, but none of them mention “suffering” as a key component of an adventure. But for lots of overlanders, their adventures routinely involve some degree of hardship. This is not necessarily a bad thing, of course. A bit of challenge is good for your moral fiber, don’t you know. And if it’s a hiking, biking, kayaking or motorcycling adventure, the limitations on what you can take with you mandate a comfort downgrade. Indeed, much of the appeal of adventuring with limited capacity is selecting your resources in the most skillful way. When you only have a dirt bike, or maybe just your own back, to strap your stuff to, choosing the right stuff to schlep often spells the difference between success and failure. I spent a few decades doing the in-depth nit-picking required of this equipment optimization process, and had nerdy fun deciding things like which titanium fry pan was my best option. 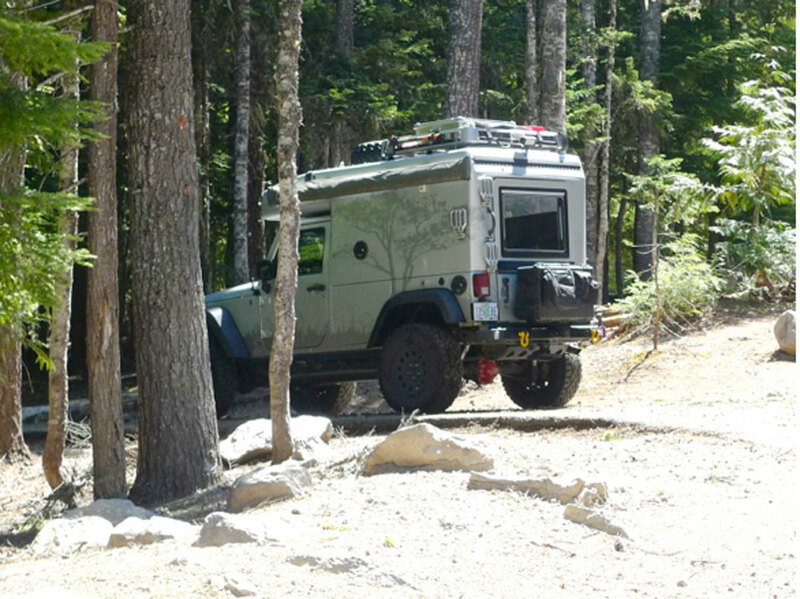 I had a paradigm shift, though, when in 2001–operating with both more enthusiasm and less knowledge than I should have had–I imported a Unimog camper from Germany. 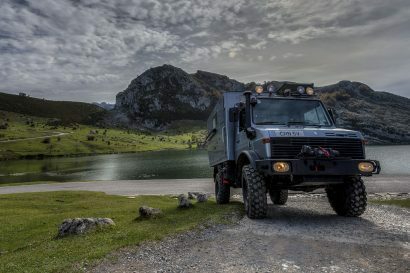 And it was not just any Unimog: it was a semi-famous, owner-built Sahara-veteran expedition truck based on a nearly-unique Mercedes Unimog 416 traction head with a custom cabin. Heady stuff. The truck was an ox off-pavement, but the combination of its large size, eight-ton weight and 110 horsepower engine made getting to any destination a substantial slog. But one thing that never got old was the splendid comfort of the cabin. It was warm, dry, secure, and stocked with, literally, all the comforts of home. Each night in it was hugely more comfortable than even the most optimized combinations of my silly-big collection of camping gear ever provided. 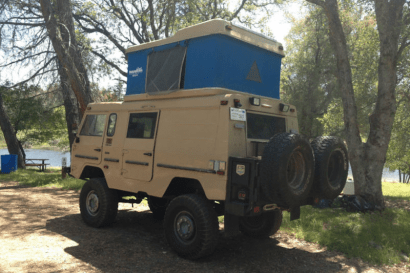 So it wasn’t very far into life with Camper Mog that I knew that what I really wanted was a truck that could supply the comfort and off-pavement capability of Mog without its drawbacks of size and three-decade-old running gear. So when EarthRoamer released information about the XV-JP Wrangler-based camper they were going to produce, I wore the bullseye of the target audience. 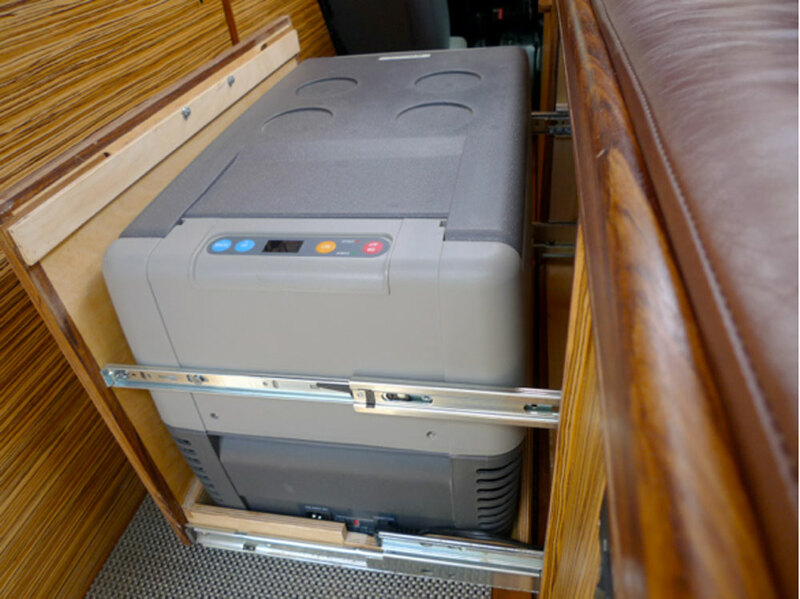 Their concept was simple enough: Put a yacht-quality fiberglass cabin over the back of a Jeep Wrangler Rubicon, thus creating secure living space that neither diminished the capability of the underlying truck nor increased its footprint. 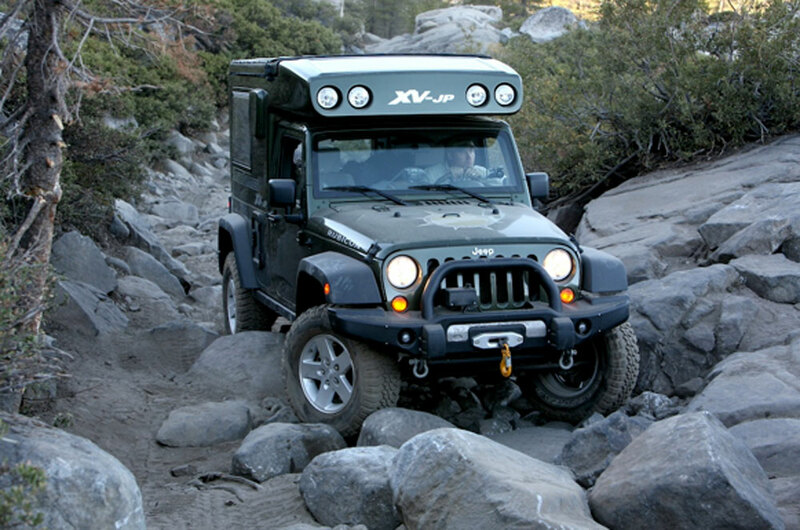 The result, according to EarthRoamer, was the only “motorhome” that could complete the Rubicon Trail. All this sounded pretty good, but I had some problems making the leap. An obvious one was the cost, as most XV-JPs left the factory at $120-$140,000. 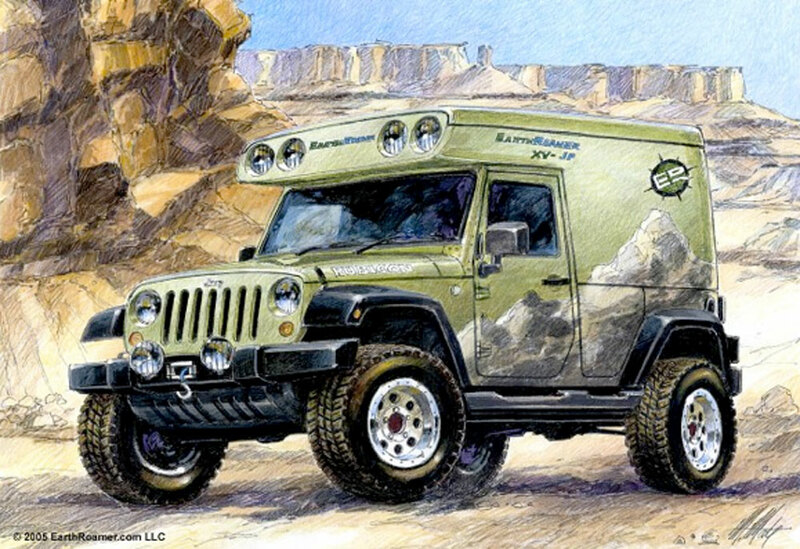 It wasn’t that you couldn’t see where the money was going—the conversion work was complicated and their JK Rubicons were upgraded with the very best off-road gear—but a six-figure Jeep was still a challenge. 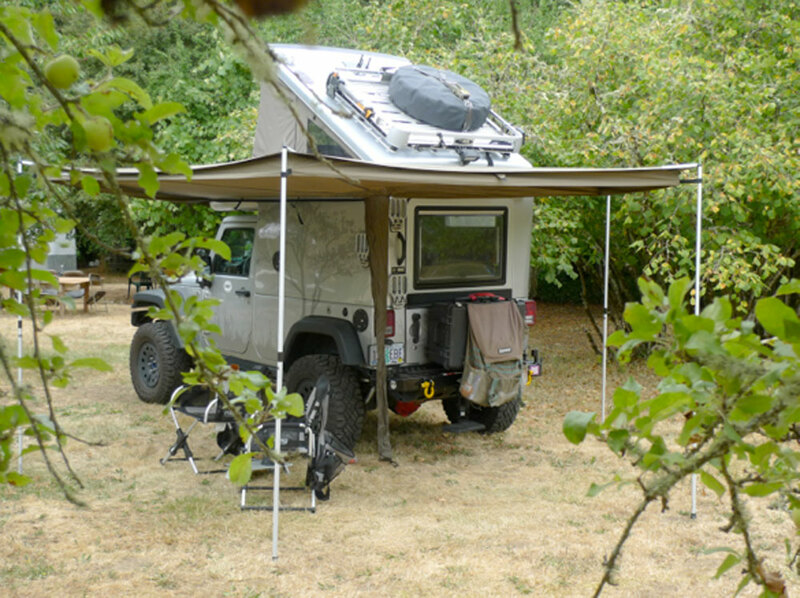 I also had worries about the most striking of ER’s design elements, the giant Loftop air-supported tent that made up the roof of the camper when deployed. 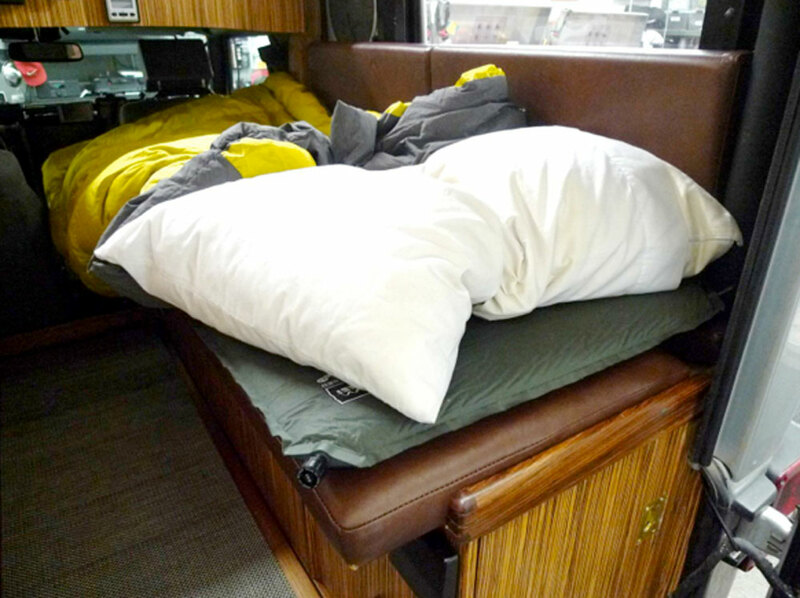 Traveling most often by myself, the advantages of the huge bed the design provided weren’t that great, and I worried about how it would work on the majority of my trips which, unfortunately, happen in less than perfect weather. The excuses got set aside, though, when XV-JP #003 went up for sale with only 1400 miles on it. The seller’s original asking price was still more than I would spend, but it eventually dropped enough that I bought it and got it home to Portland. My concerns that #003 wouldn’t prove as happy a place as my Mog’s cabin were justified. Rain and wind made sleeping in the spacious Loftop uncomfortable, and folding the gigantic tent back into the cabin when it was soaking wet made the top-down usefulness of the cabin pretty much zero. After a cold winter and wet spring of ownership, it was hard to decide whether to cut-and-run or try to fix the problems. 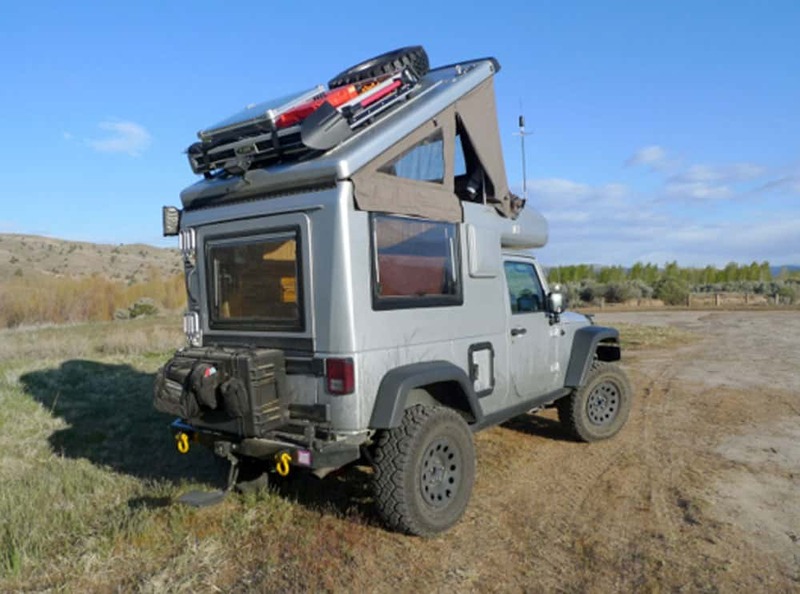 But the idea of the “Rubicon Motorhome” still seemed brilliant, and I decided that with enough cleverness, and the help of some very good people, I should be able to get the amount of comfort I wanted out of the XV-JP. And so it happened . . . to the point that the “XV-JP Northwest Edition” is now the clear favorite among the dozen rigs I’ve had over the years. There may be an official list somewhere, but it seems to me that the key components of a comfortable expedition are keeping dry, keeping warm, having enough water, having credible food and a way to store and cook it, having a comfortable bed, having some organized storage for your stuff, and dealing well with sanitary and hygiene issues. My hope with the XV-JP rebuild was that I could achieve all of these things within the cabin of the Jeep. Here’s how I made out. The first important step toward success came with the decision to completely jettison the original tent and the complex mechanisms that made it work. There were lots of reasons to do so, but the most basic was that the Loftop just wasn’t meant for inclement weather, and that’s what I had most often. 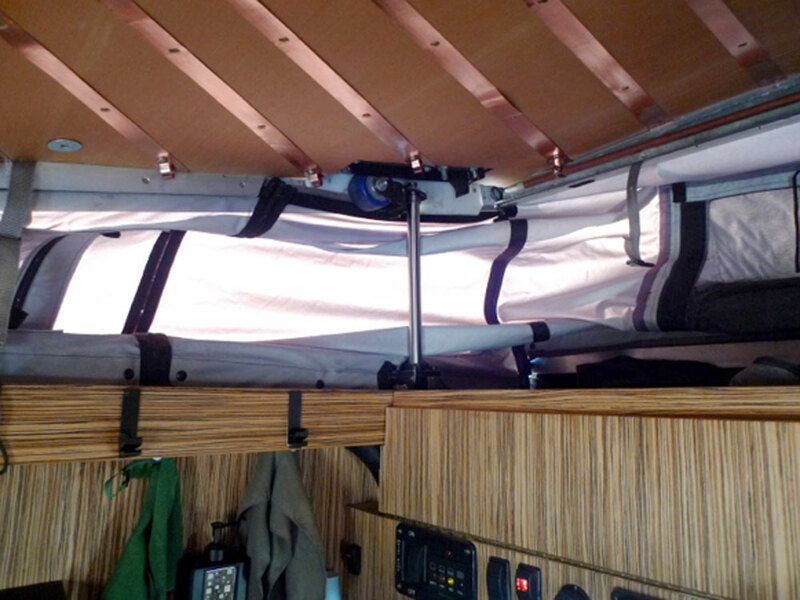 Instead of opening 180 degrees, the roof now raises at the front a maximum of about 40 degrees using pneumatic struts, and much smaller waterproof fabric panels fill in the gaps. I also made changes that allow the driver to deploy the tent without leaving the truck, which is really handy when it’s rainy or cold. And in really gnarly weather, or for ultimate security, or for any other reason, the reconfigured interior is usable with the top down. Plus, since raising and lowering the roof now takes just a few seconds, the roof gets deployed all the time in good weather—rest stops, viewpoints, even fast food parking lots, where you can, at the proverbial touch of a button, have a very pleasant private place to munch lunch. EarthRoamer supplied a plenty-large 25 gallon fresh water tank under the streetside sink; it’s filled from a covered port on the outside cabin wall. There’s hot and cold water supplied by a good-sized 12V DC water pump, and a separate purified water faucet for cooking and drinking water. As is, the cabin has a big head start on keeping warm. The acrylic windows are dual pane and the fiberglass is very thick. Some heat will be lost through the tent panels at the top, but if keeping temperatures up becomes a problem, the roof can be adjusted in a matter of seconds to any point between and including fully opened and fully closed, so trading headroom for heat retention is easy. The heat principally comes from a petrol-fired hot air heater that vents to the outside through the cabin wall and flows its warm air into the cabin through a floor-level vent. The fuel is drawn straight from the Jeep’s main tank. 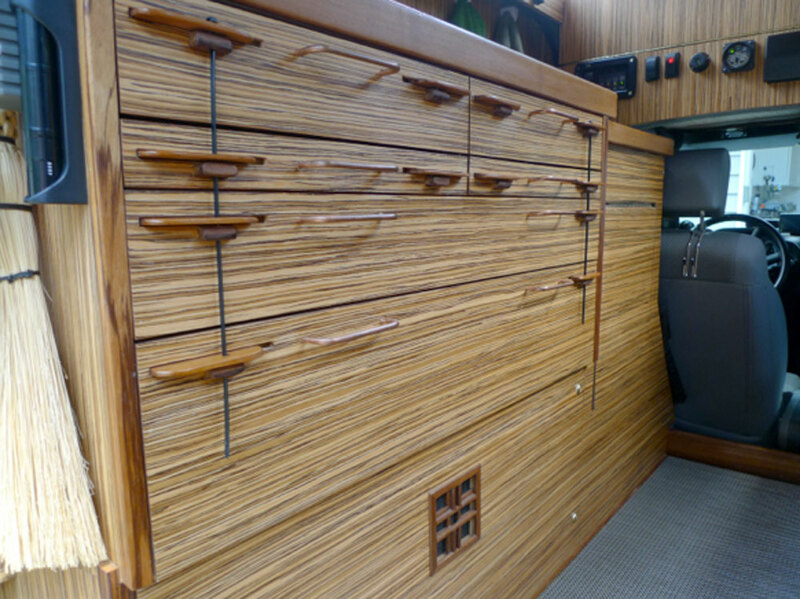 The temperature is thermostatically controlled using the round knob on the control panel in the cabin. I could conceivably end up in a place where failure of the petrol heater could make life unpleasant, so when going into cold areas, I also carry a propane-fueled catalytic heater. The cat heater is efficient and quiet, and so it’s sometimes used during waking hours in preference to the petrol heater. 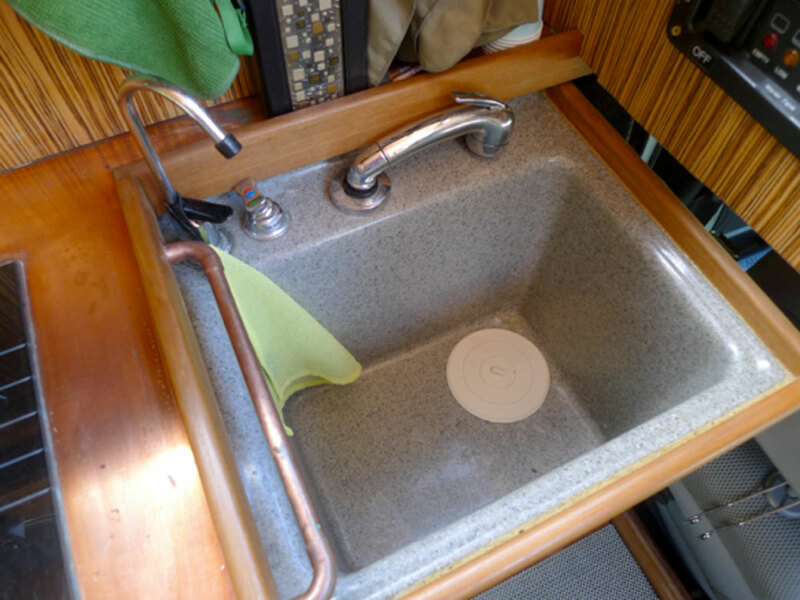 For areas where it’s a violation (or bad form) to dump grey water, the sink and shower drain into a 10-gallon grey water tank low behind the passenger’s seat. That’s emptied with a ball valve protected by the curbside rocker guard. 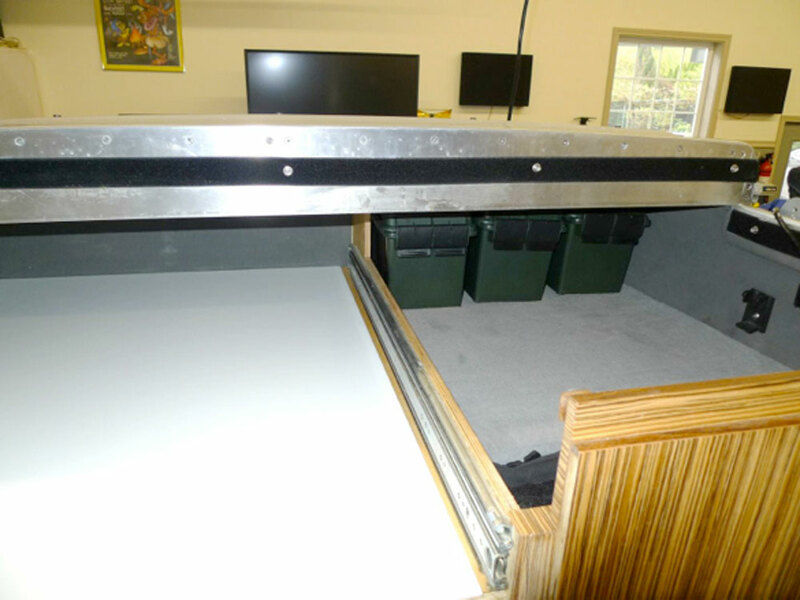 When the skillful Paul Jensen built the interior cabinets, he was able to fit a 35-liter Dometic compressor fridge on a slide mounted platform that resides under the main curbside bench. Its chest design with removable lid makes it easy to access from anywhere in the cabin, and it does well at keeping food cold with reasonable current draw from the 210 amp-hour house battery bank. 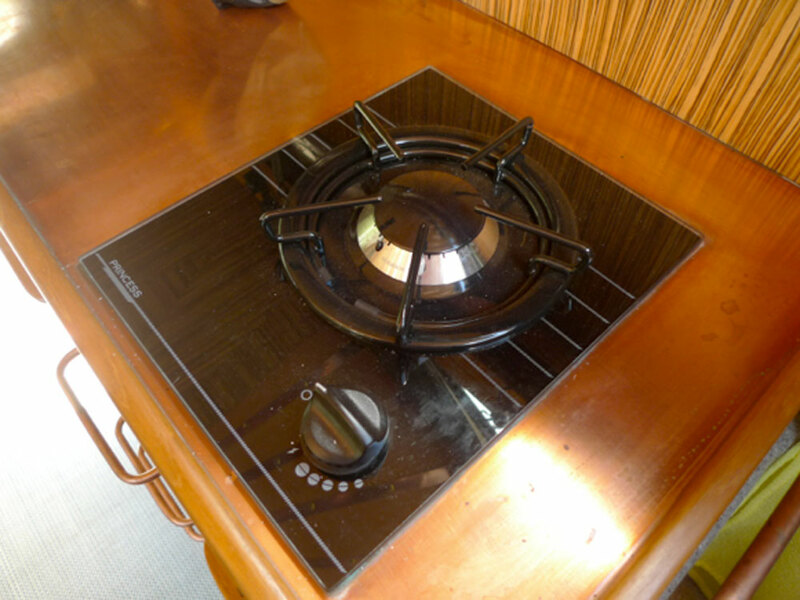 To cook the food, there’s a single burner propane cooktop from Princess. It got selected by being the only appropriate one made, but it is working very well. With good countertop space to work with and a full complement of cookware and utensils, preparing a meal is an order of magnitude easier than working with a tiny pot balanced on a backpacking stove. 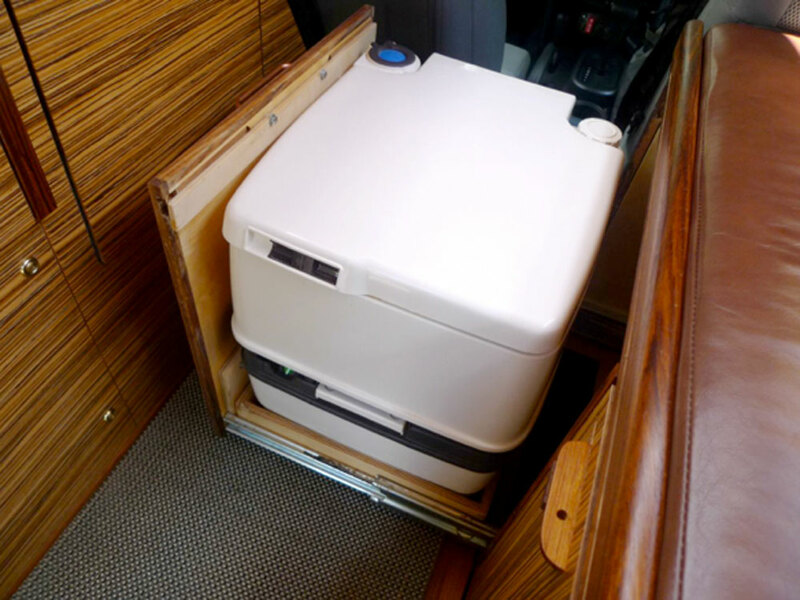 And if you have occasion to travel smooth roads to go glamping with shorepower available, it’s a thirty-second task to put the normally-stored 0.7 cubic foot microwave onto the XV-JP’s copper countertop and secure it in place. 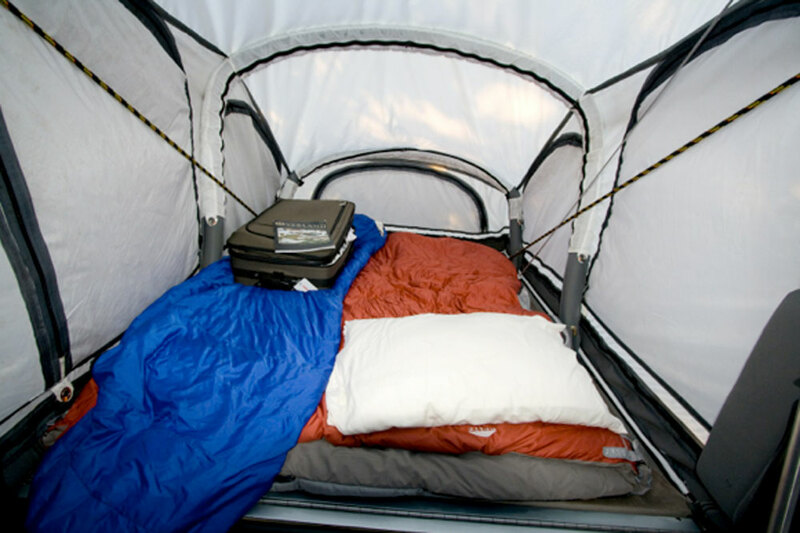 Having the heated cabin allows you to sleep comfortably with much less restrictive bedding than you’d need were you sleeping in a tent counting on your mummy bag to retain your body heat. I sleep very cold and routinely need my sub-zero-rated Western Mountaineering expedition bag to be comfortable in a tent, even in pretty decent weather. In the Jeep, I do well with just a Therm-a-Rest down blanket tucked around the pad. One of the best things to come out of the XV-JP’s redo was more, and better-organized, storage than I would have believed possible. After all, the cabin is basically a cube that’s five feet on a side, which is not exactly spacious. But after a lot of head-scratching and measuring, some skillful craftsmanship by Paul resulted in a streetside cabinet that’s a model of efficiency. Add to that the substantial space in the “nose cone” over the cabin, space that provides room for a lot of the soft stuff, such as bedding and clothes, with various bins and organizer units being used when advantageous. The dry food usually goes there, too. 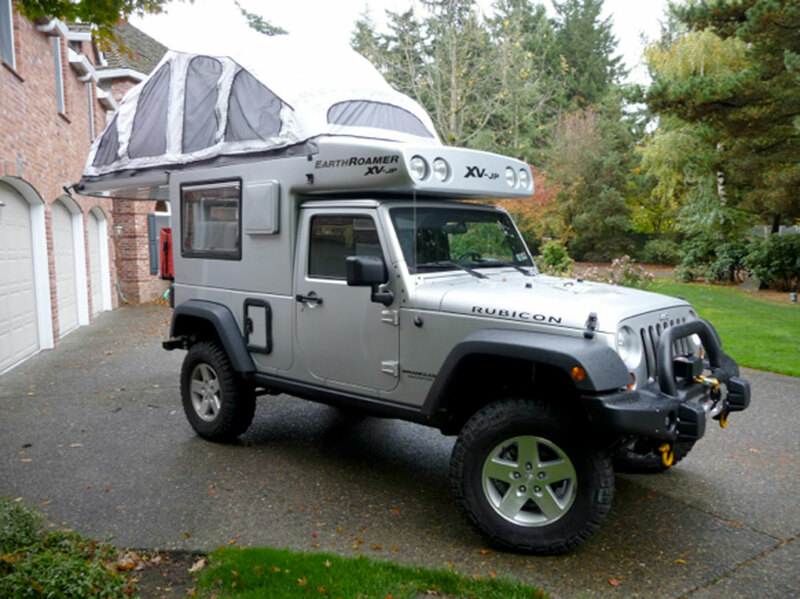 There’s plenty of room for two people’s requirements (maybe 5-10 times what each could backpack), but if it’s a solo trip, the fold-out upper bed can be easily removed, leaving the entire nose cone available for storage. When configured that way, there’s more storage available than any one traveler would use up on anything except the longest trips. Standards vary as to the appropriate effort to expend in answering nature’s calls, but the Unimog cabin taught me that no clever selection of bottles, groovers, portable loos, WAG bags, or toilet tents comes close to the ease and comfort of having the toilet inside your warm, dry cabin space. So in spite of the XV-JP’s small floor space, there had to be a potty. Fortunately, the dimensions worked out to allow a normal-sized Dometic portable toilet to slide out into the aisle. Clearly, you don’t use it all of the time. When the restrooms are 50 feet away and dinner’s on the cooktop, you take the short walk. But when you’re camped by that mountain stream, it’s cold and pitch dark outside, and you don’t want to risk walking the 200 feet to the cathole (the one you probably didn’t think to pre-dig anyway), that cleverly-molded assembly of plastic pieces is pretty appealing. The Unimog also had a shower, and in the middle of the sometimes hot and often very dusty Mogfests, I had a great feeling of superiority from being the cleanest person on site. But I nevertheless wouldn’t have tried to fit a shower into the Jeep’s size S cabin. EarthRoamer covered that for me, though. A shower pan was part of the XV-JP’s original design and it was no problem to leave it in place and finish around it. 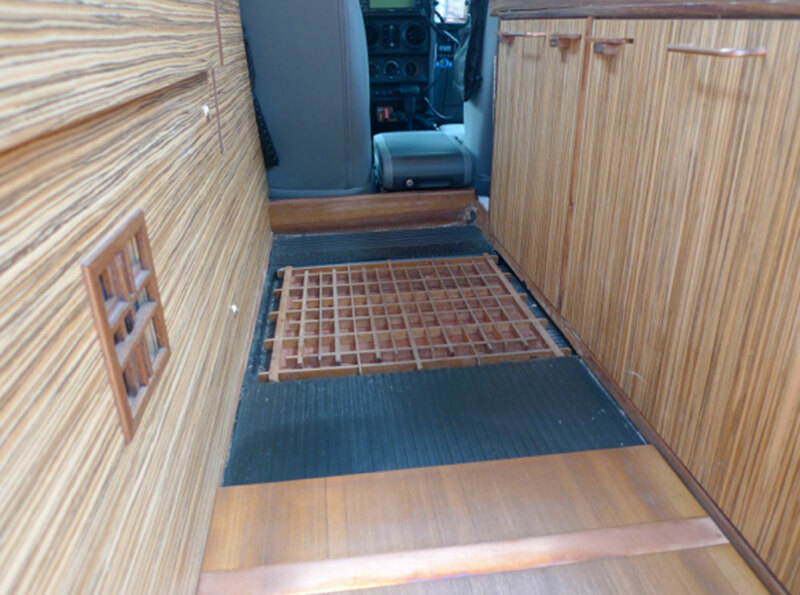 You lift up the teak finished floor to reveal the more utilitarian rubber mat floor, which exposes the teak shower grate and the drain to the grey water tank. Shower water comes from the sink faucet, the head end of which is on a long hose. And a separate quick-drying fabric shower curtain is clipped to the ceiling to create the enclosure that keeps the water and suds contained. It’s admittedly a pretty small shower. But it works well enough, and it gives the XV-JP traveler a chance to be squeaky clean when the rest of the trip participants are looking, and maybe smelling, sub-optimal. 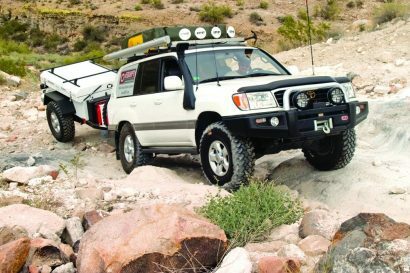 The hope was to end up with an expedition-capable vehicle that was completely comfortable and didn’t require significant sacrifice when traveling even to the most remote sites. Fortunately, through a combination of a solid starting point, talented co-builders, and some luck in how components came together, that’s what I got. When you hear “Jeep Wrangler” and “self-contained motorhome” in the same sentence, it’s always because a Wrangler is being towed by a motorhome. 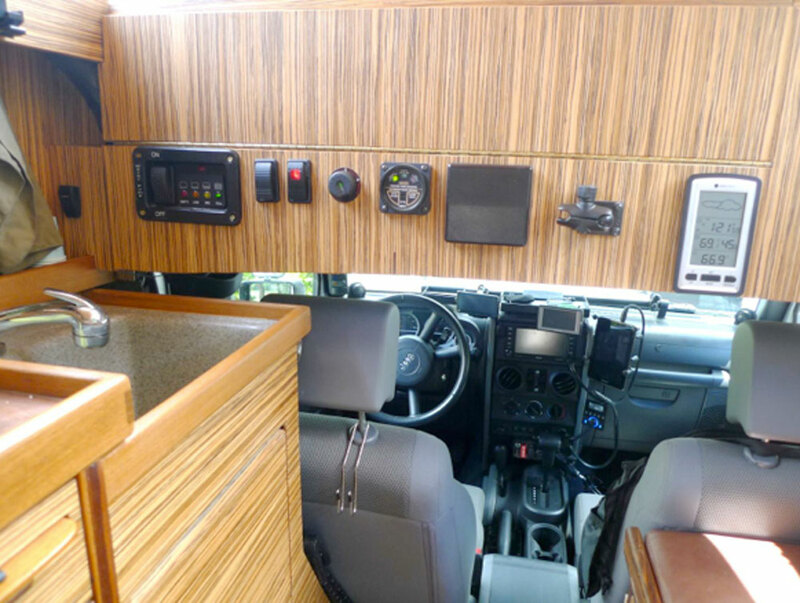 I feel really proud for having the Wrangler BE the motorhome, and I can’t come up with any alternative configuration that could go as many places while providing as much comfort when stopped. It seems to me to be the best balance anyone could hope for, and I’m very pleased with the result.